Ludwig Wittgenstein (1889 – 1951) was one of the most important philosophers of the twentieth century. Wittgenstein made a major contribution to conversations on language, logic and metaphysics, but also ethics, the way that we should live in the world. He published two important books: the Tractatus Logico Philosophicus (1921) and the Philosophical Investigations (1953), for which he is best known. These were major contributions to twenty century philosophy of language. Wittgenstein was a difficult character. Those who knew him assumed he was either a madman or a genius. He was known for working himself up into fits of frustration, pacing about the room decrying his own stupidity, and lambasting philosophers for their habit of tying themselves in semantic knots. In his favour, Wittgenstein was not afraid to admit his own mistakes. He once said: ‘If people never did anything stupid, nothing intelligent would ever get done’. He also said: ‘I don’t know why we are here, but I’m pretty sure that it is not in order to enjoy ourselves’. Students approached his classes at Cambridge University with due trepidation, never sure if they were about to witness a brilliant act of logical deconstruction or the implosion of a tortured mind. Sometimes a crisis can be productive. 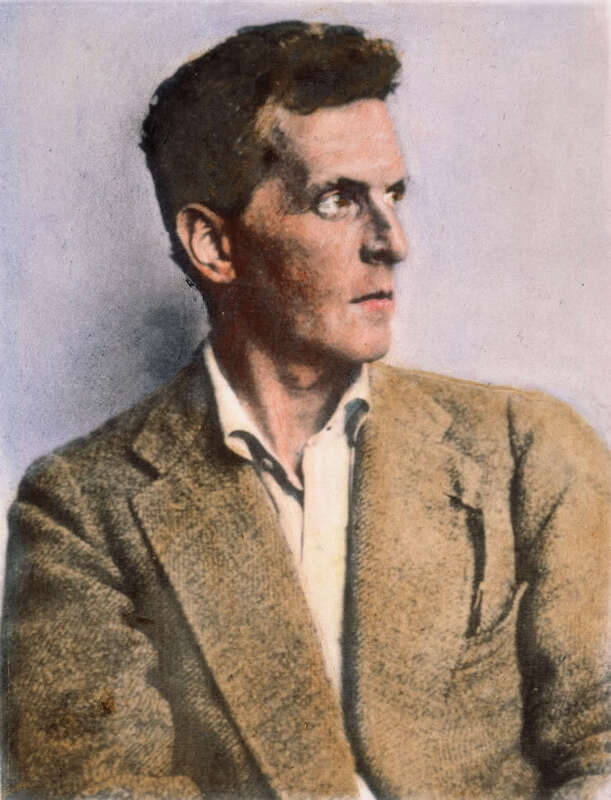 Wittgenstein, who was constantly in the grip of some kind of intellectual cataclysm, tended to advance his thinking by debunking what he had previous thought to be true. The best example is his celebrated about turn on the nature of language. In the Tractatus Logico Philosophicus, Wittgenstein argued for a representational theory of language. He described this as a ‘picture theory’ of language: reality (‘the world’) is a vast collection of facts that we can picture in language, assuming that our language has an adequate logical form. ‘The world is the totality of facts, not of things’, Wittgenstein claimed, and these facts are structured in a logical way. The goal of philosophy, for early Wittgenstein, was to pare language back to its logical form, the better to picture the logical form of the world.